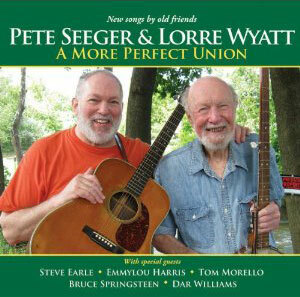 Features 14 new songs written by Pete Seeger and singer/songwriter Lorre Wyatt, including guests Bruce Springsteen, Steve Earle, Emmylou Harris, Tom Morello, and Dar Williams. The track with Springsteen, "God's Counting on Me... God's Counting on You," is the opening track written in response to the Gulf oil spill. Bruce takes two verses on this new Seeger sing-along, complete with a kids chorus. Appleseed Records 2012.